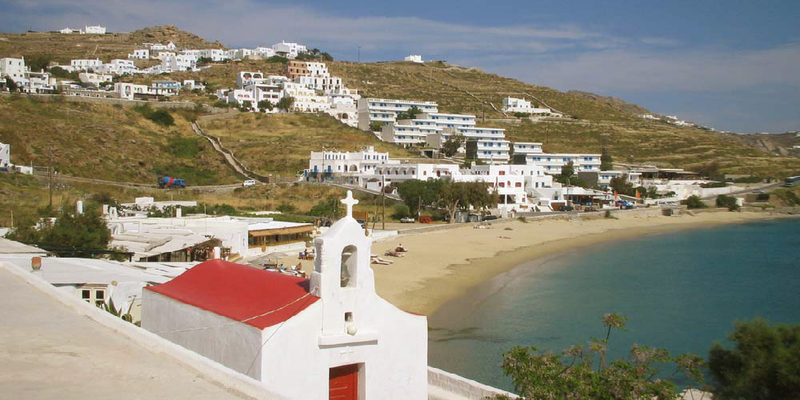 The beach of Agios Stefanos is the closest beach to Mykonos town and really protected from the winds. There are many water sports facilities and many taverns and hotels in the area. It gets really crowded during high season because of the short distance from the town.